Andrew M. Obritsch received his B.A. from St. John’s University in Collegeville, MN, in 2011. He is currently a graduate student in clinical psychology at Eastern Illinois University. Aubrey Immelman received his Ph.D. from Nelson Mandela Metropolitan University in 1991. He is currently an associate professor of psychology at St. John’s University in Collegeville and the College of St. Benedict in St. Joseph, MN. On paper, Mitt Romney is an attractive candidate. He looks “presidential,” is well financed, and has a strong track record in business and government. 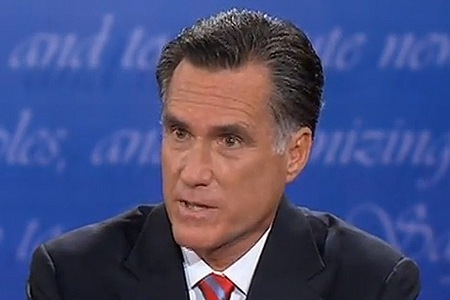 However, despite MBA and law degrees from Harvard, a successful career as a management consultant and venture capitalist, president and CEO of the 2002 Salt Lake Winter Olympics Organizing Committee, governor of Massachusetts, and chair of the Republican Governors’ Association, questions remain: What are the personal qualities that shape Romney’s leadership style? What kind of president would Romney make? How would Romney deal with adversity? While the Republican platform and Romney’s policy positions and campaign promises provide a point of departure for inferring many of the specifics of a prospective Romney administration, they do not provide a comprehensive basis for anticipating the more intangible aspects of a Romney presidency. Fortunately, political psychology provides the tools for answering those more elusive questions. A psychological profile of Romney, developed at the Unit for the Study of Personality in Politics at St. John’s University and the College of St. Benedict during Romney’s 2008 and 2012 presidential campaigns, reveals that the Republican nominee is primarily a Conscientious-dutiful personality, complemented by secondary Dominant–asserting, Ambitious–confident, and Accommodating–cooperative features and a minor Retiring–reserved tendency, yielding a political personality best described as a dutiful conformist. Romney’s personality profile provides a stable framework for anticipating his likely leadership style as president, if elected. Leaders with his profile are characteristically prudent, proper, dignified, dependable, and more principled than other leadership types. Highly organized, with a strong work ethic and careful attention to detail, this presidential style is the epitome of competence in crafting public policy and a deliberative approach to problem solving in the Oval Office. Following is a political-psychological prognostication of a prospective Romney presidency. Motivation for leading. Conscientious leaders tend to be guided by pragmatism rather than ideology. They tend to centralize power in the executive branch as a way of preventing matters from spinning out of control. Because of their structured, somewhat pedestrian cognitive style, they are wary of new or untested ideas, rendering them averse to ideologically driven proposals and more inclined to a pragmatic approach to politics. Perhaps not surprising for someone with Romney’s academic and professional credentials, he emerged from the assessment as a highly conscientiousness personality. What is notable, however, is that in an era of “made-for-television” elections, no presidential candidate with conscientiousness as his most prominent trait has been elected president; a primarily conscientious personality has not occupied the Oval Office since Jimmy Carter, and before him Herbert Hoover and Woodrow Wilson. In fact, the list of conscientious presidential nominees in recent elections cycles reads like an exclusive club of losing candidates, including Michael Dukakis, Bob Dole, and Al Gore. Psychological assessment is not a panacea for prognosticating every possible contingency during a president’s tenure, and “strong situations” -- such as the terrorist attacks of 9/11 -- can totally eclipse the influence of personality; however, accurate personality assessment nonetheless serves as a useful tool for anticipating the general tenor of a prospective presidency.